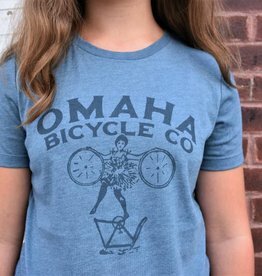 Collection - Omaha Bicycle Co.
OBC's 'Everybody's Doing It' Tee is inspired by the original Omaha Bicycle Company's advertisement from the newspaper circa 1890. 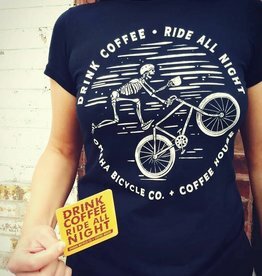 Available as a women's soft style tee in heather slate, or as a men's soft style tee in military. 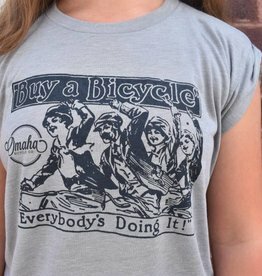 OBC's 'Everybody's Doing It' Tee is inspired by the original Omaha Bicycle Company's advertisement from the newspaper circa 1890. 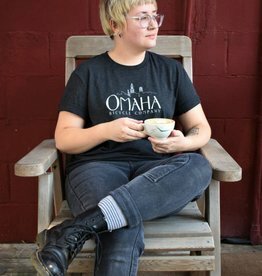 Available as a women's flowy rolled cuff in a heather stone, or as a men's soft-style shirt in a heather indigo. 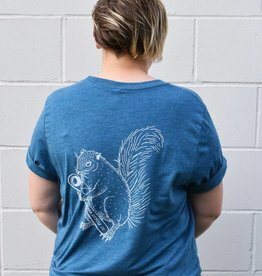 Nuttier than a squirrel's turd. That's how we like it. Printed by Ink Tank Merch. 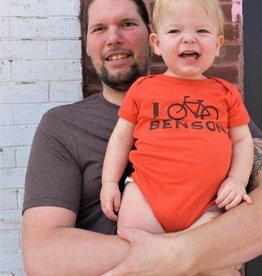 Show off your neighborhood pride with these bright I Bike Benson youth tees! 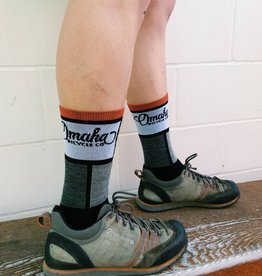 Custom merino-blend OBC socks from SockGuy feature our classic logo and a squirrel friend! 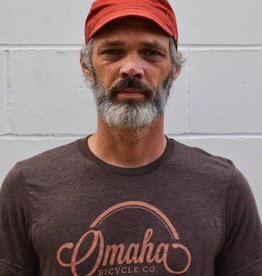 Original artwork inspired by valve stems and the Omaha skyline. Anything you want to keep cool. 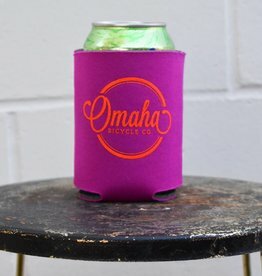 Classic OBC logo on a soft tri-blend tee. 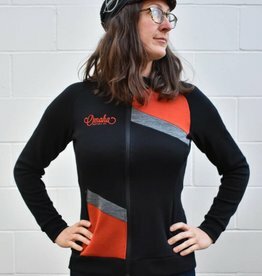 Full zip merino wool jersey in men's and women's styles. 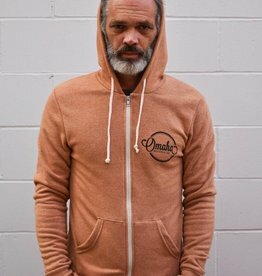 A soft, full-zip hooded sweatshirt featuring original artwork. Comfy cotton 4-panel cap in a variety of colors.